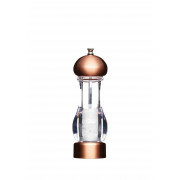 A classic capstan design salt mill with a copper effect finish, made from acrylic and perfect for everyday and table top use. Featuring a ceramic, non-rusting grinder for long lasting performance. 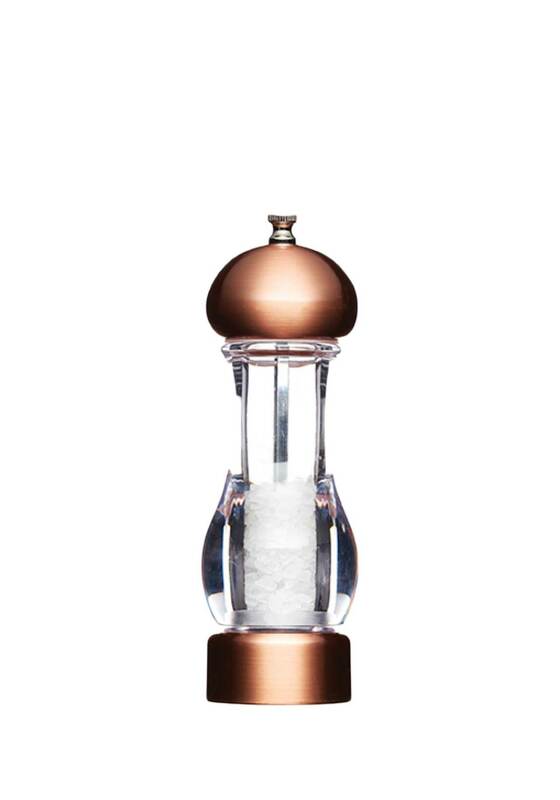 Comes filled with 28g of sea salt.